The Campaign for Locust Grove looks forward to our third century in Louisville, while acknowledging and preserving the stories of the past 200 years. Give to the Campaign for Locust Grove here. Locust Grove is undertaking a $3.2 million capital campaign to invest in our infrastructure, improve access to our site, and give us the flexibility to offer a diverse array of programming that captures the stories of people who lived, worked, and visited Locust Grove. 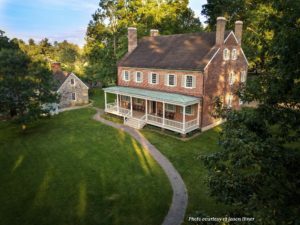 While Locust Grove’s historic house remains at the center of the story and mission of the site, the $3.2 million capital campaign with a lead gift from long-time friend, supporter, and board member B. Preston Thomas focuses on the other elements of the 55-acre site. Funds raised for the capital campaign will be used to refurbish and enhance the Martin F. Schmidt Visitors’ Center, build a pavilion for additional programming and rental space, and improve access and connections between the grounds and outbuildings. Changes to the Visitors’ Center include a renovated lobby with space for temporary exhibitions; creating an indoor/outdoor classroom; redesigning the museum store and admissions desk for a seamless visitor experience; and creating a dedicated library space for researchers, historians, and others seeking to delve deeper into the story at Locust Grove. Overall, the changes to the Visitors’ Center will improve efficiency and day-to-day activities for a growing staff and volunteer corps, and allow visitors to make the most of their time on the site. The addition of a pavilion will be the biggest change to the landscape at Locust Grove. This space will provide flexibility for new and expanded programs, events, and rentals, allowing Locust Grove to program multiple activities at the same time, and to grow programs beyond our current capacity. The pavilion will support existing events like the annual Gardeners’ and Antiques Fairs, while offering a more attractive and practical solution for rental events at Locust Grove. Rendering of the pavilion at Locust Grove. 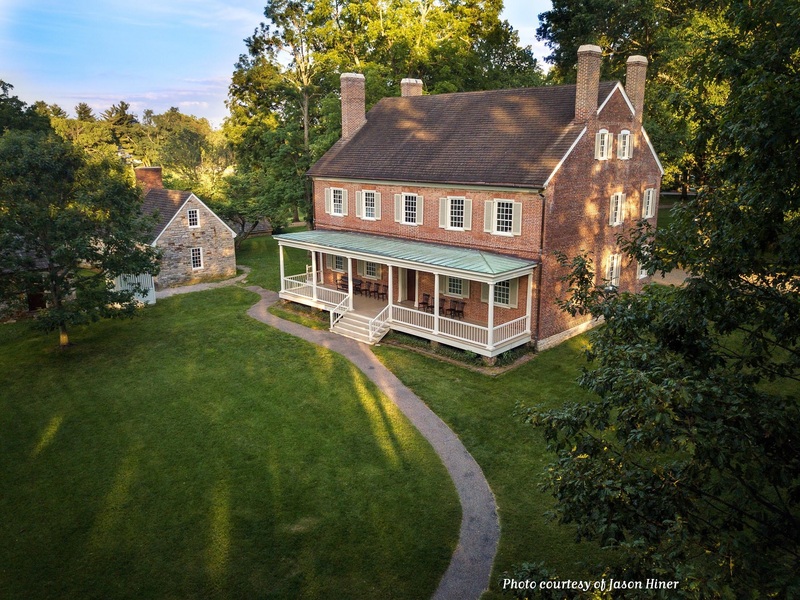 Finally, funds from the Capital Campaign will support improvements to Locust Grove’s 55-acre property by creating more accessible paths connecting the outbuildings, reconfiguring the entrance, and improving parking. A meadow of native plants is also being planned for the site. As of September 1, 2018, Locust Grove has raised gifts and pledges totaling $2,057,863.88 towards the $3.2 million goal. Online gifts made be made by clicking here. Gifts may also be made by calling 502-897-9845. Please indicate that your gift should be dedicated to the Capital Campaign. We are grateful for your support of The Campaign for Locust Grove. For media inquiries: please contact Hannah Zimmerman at marketing@locustgrove.org.